My school system has supplied SLPs with Boardmaker software for many years and I don't know what I would do without it. However, there are so many SLPs, teachers, and parents who struggle to provide visual supports without the luxury of having Boardmaker or other symbol making software at their fingertips. Below are some resources for free visual supports. The Center for Autism and Related Disabilities (CARD) at the University of Florida has a wonderful web page, Where to Begin With Visual Supports. It is directed to parents, but would also be a good resource for the teacher or SLP who has not previously used visual supports. Don't forget to look at the examples of visual supports and their use. The Indiana Resource Center for Autism created the video Autism House: Visual Supports for the Home. Examples of numerous visual supports are demonstrated and many could be used at school as well. Visual Aids for Learning - Download complete packs for home, school, early childhood, adolescents, and toilet training. Individual visuals in a variety of topics and sizes are also available. Cindy's Autistic Support has MANY good visual support files made with Boardmaker, but saved to a pdf. Math vocabulary, opposites, classification, Wh questions, behavior and schedules, recipes, and Bingo words are some of the boards that you will find at this site. 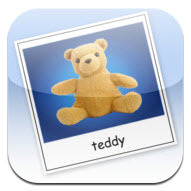 There are many apps for augmentative communication. A few of the the free apps will let you add your own pictures and customize boards. However, for simple visual supports, I recommend Picture Card Maker to parents with iPads. This easy to use app has a free version with options to use the visuals on the iPad or to print the visuals. NOTE: As of March 2015, I could not find this app in the App Store. It is an iPad app and if it is in your "Purchased Apps" it loads and continues to work. At Setbc.org go to PictureSET to find a collection of downloadable visual supports that can be used by students for both receptive and expressive communication in the classroom, at home, and in the community. At Speaking of Speech.com you will find materials, ideas, and lessons submitted by SLPs and teachers. Many were made with Boardmaker and can be downloaded in a PDF format, which means that you will be able to print the activity, but will not be able to modify it. Activities at the Materials Exchange fall under categories such as articulation, therapy games, themes, middle/high school, fluency, literacy skills, and more. At SEN Teachers' Free Printables page, you will find ready to print dice, labels, and photo cards for matching, sorting, or picture exchange. PECS Pictures from Beyond Autism - This would be a great source for parents who don't have Boardmaker or other resources (scroll down towards the bottom of the page to see these). Visual Supports for Jewish Education includes visual supports for for Passover, Shabbat, Bar/Bat Mitzvah Preparation and more. Lisa M. Geary's blog, LiveSpeakLove has visual supports for behavior. 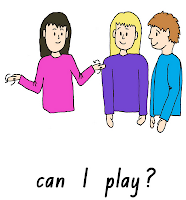 At do2Learn click on Picture Cards to see visual supports for functional communication, schedules, social and behavioral skills, and daily living skills. PatrickEcker.org is a website for sharing graphics, pictures, and visual supports for children with disabilities. There is a great library of visuals on this site. Links and content updated March 2015. Do You Close Your Apps?